THE BEADY EYE SAY’S ENGLAND IS NEGLECTING THE BIGGER PICTURE WHICH IS GOING TO BE AN MONUMENTAL MISTAKE FOR THE UK AS A WHOLE. Posted by bobdillon33@gmail.com in Brexit v EU - Negotiations., England., The Obvious. Some time ago the Beady eye asks just who or what is the EU going to sign any deal with. England is often (although incorrectly) used as a term to describe the whole of the UK. Great Britain is not a country; it’s a landmass. The name Britain derives from the Roman word Britannia. The British Isles is the name of a group of islands situated off the northwestern corner of mainland Europe. It is made up of Great Britain, Ireland, The Isle of Man, The Isles of Scilly, The Channel Islands (including Guernsey, Jersey, Sark and Alderney), as well as over 6,000 other smaller islands. The problem with “Brexit”, as shorthand for “British exit”, is that there is no such place as Britain. This question above is being ignored but one thing is clear: The union state is not a unitary state, still less an English state. It would be outrageous to force Scotland and Northern Ireland to leave the EU in defiance of the wishes of their peoples. What is sauce for the English and Welsh leavers is also sauce for the Scottish and Northern Irish remainders? All will be yoked forever to a Conservative-dominated England. It contains four nations, one far richer, more populous and more powerful than the other three – England. For much of the past two centuries, most of the inhabitants of the union state have taken it for granted; it has been in serious contention only in Ireland. Now all is changed. The empire on which the sun never set has been consigned to the dustbin of history. 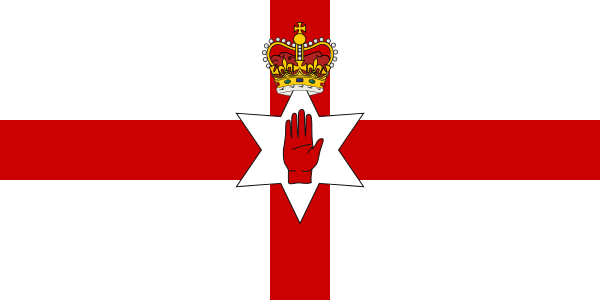 Northern Ireland is the legatee of a war of conquest between the English crown and the native Irish, which ebbed and flowed for centuries and ended with the island’s partition between the overwhelmingly Catholic south and west and the predominantly Protestant north-east. Wales was conquered by the English crown in complex medieval struggles, in which Welsh warlords were as apt to fight one another as to fight the English; the title “Prince of Wales” is a reminder of the English victory, not an emblem of Welsh defiance. A few hundred years of history once bound the four nations of the UK. Now they’re pulling this very odd state apart. There are now four capital cities, four administrations and four legislatures in the once monolithic union state. Each of the devolved administrations has its own political priorities and follows its own political trajectory. Like a mortar bomb crashing into a building infested with dry rot, the EU referendum has torn great holes in the structure, the operational codes and the underlying assumptions of the increasingly rickety union state. Down the centuries of English history, there are ample examples of divide and rule which to this day can be applied to England a country within the UK. No government has ever existed which did not take advantage of social, religious political divisions to further its own interests. Perhaps for the first time, we are witnessing the folly of not prioritizing the population before the economy with a no deal scenario. Tell them all others are out to finish you except me will only enrich the lawyers. There comes a point in our lives when we have to accept our destiny is down to ourselves, and we have to abandon our adolescent tendencies to blame our parents for everything we dislike about our present lives. The ongoing threat of Brexit is that is building roads to where the sun will not shine.